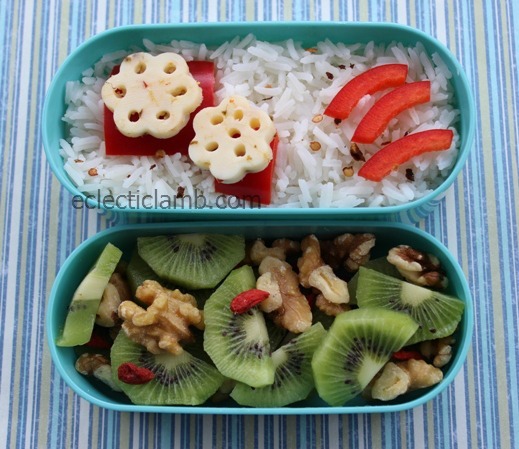 Here is a simple but delicious bento. I used this decorative cutter set. Yummy bento to start the year! Looks like a great bento to begin the year! I think it looks pretty!! I have missed your posts! This looks great! Thank you so much! I missed making them. Wow! so yummy and healthy! great way to start the year!